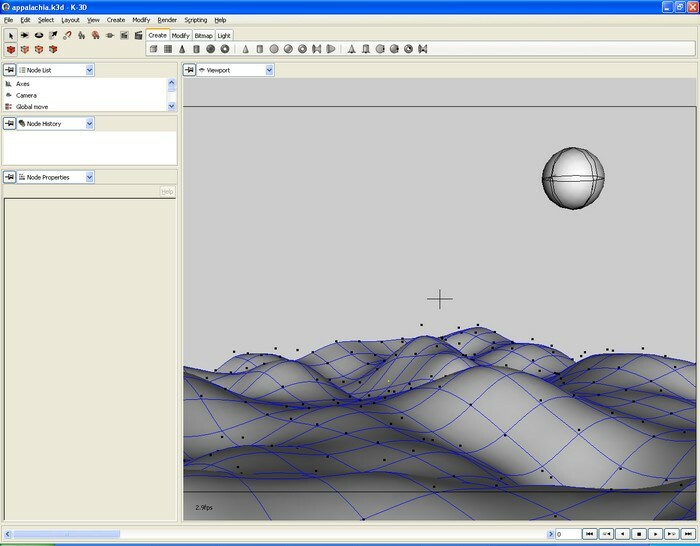 K-3D is free-as-in-freedom 3D modeling and animation software. It combines flexible plugins with a visualization pipeline architecture, making K-3D a versatile and powerful tool for artists. K-3D's interface uses your platform's look-and-feel, and it's consistent with the applications you already know. New artists will find K-3D easy to understand, and professionals feel right at home. K-3D is intuitive, consistent, and discoverable. An advanced undo/redo system ensures you can always go back, and the pioneering undo tree means you can always go forward, even where other programs lose the ability to redo. Blender is a free 3D graphics application that can be used for modeling, UV unwrapping, texturing, rigging, water and smoke simulations, skinning, animating, rendering, particle and other simulations, non-linear editing, compositing, and creating interactive 3D applications, including video games, animated film, or visual effects. Blender's features include advanced simulation tools such as rigid, realistic body, fluid, cloth and softbody dynamics, modifier-based modeling tools, powerful character animation tools, a node-based material and compositing system and Python for embedded scripting. Released as free software under the GNU General Public License, Blender is available for a number of operating systems, including Linux, Mac OS X, and Microsoft Windows.